Everything you need - just a click away! Allen's fishing tackle was first opened in 1971 and with over forty years of experience in the trade and over 30,000 different lines in stock we are the largest supplier of fishing tackle in the area. 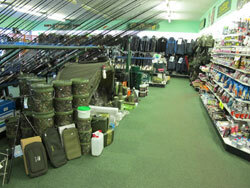 We sell Coarse, Match, Carp, Game, Pike & Predator and Sea Tackle. If we don't have the item in stock we can usually get it within days. We offer an excellent spares, repairs and insurance claims service and we take great pride in our customer after sales care. A member on a number of top Carp syndicates in the region and a serious passion for his sport. Having caught some of the biggest carp in the country to date, and having fished and succeeded at beating some of the craftiest fish around, he loves nothing more than time on the bank looking over the water. Whilst having been a team member in a number of top flight match teams, he still finds enough time to compete on the match circuit at a competitive level. Dedicated to any aspect of his sport with an impressive amount of knowledge to back this up!!! Emma joined the company in 2010 as accounts manager as well as customer service and shop floor supervisor. She is able to offer help and advice on a range of all aspects of the sport. Having completed a fisheries course at Rodbaston College, he has knowledge and enthusiasm for the sport. He fishes at a competitive level and is never far from framing. Winning regular club leagues and becoming well known on the open circuit, showing a real understanding for the sport with his impressive run of results to date. 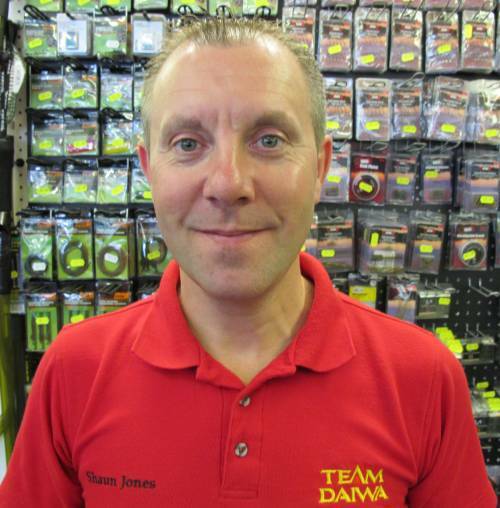 Offering help and advice on bait, tackle and tactics on the shop floor.